We work in partnership with key stakeholders including central and local government, police, prisons, courts, probation, youth justice, health, welfare and the voluntary sector – as well as offenders and detainees. Our services are evolving to anticipate changing needs and we care passionately about the quality of service that we provide to clients and end users. Our approach is grounded in the key principles of professional service delivery, fairness, respect for human rights and the personal dignity of those entrusted to our care. G4S offer a broad range of services to support front line policing, local and central governments and associated agencies. G4S has been providing services to support front line policing for many years including the provision of custody suite services for three police forces in the UK, as well as forensic medical services for 13 forces. G4S has been selected to deliver middle and back office functions for Lincolnshire Police – The first contract of its kind to be let by a British Police Authority. G4S was selected from an original 160 bidders to deliver the Lincolnshire Police Business Transformation Project and from April 2012 will be providing a range of functions, formerly delivered by a combination of civilian employees and police officers. The contract represents the widest range of services ever offered in a single contract by a UK Police Authority, from HR to finance, and from custody services to fleet management. In total the authority expects to make around £28m in savings over the life of the contract. As well as providing middle and back office functions, the contract will include an opportunity for the design and build of two purpose-built custody suites, which would be staffed by G4S custody detention officers under the guidance of Lincolnshire Police custody sergeants. The suites which are specially designed by G4S would be the first to be constructed in the UK and would allow the police to close old and out of date cells in town centre police stations, as well as freeing up warranted officers for crime prevention. G4S will also be responsible for force control room and call handling responsibilities across the constabulary. G4S is the largest private sector provider of prison service solutions in the UK. We currently manage and care for the offender populations in seven UK prisons. G4S designs, builds, manages and finances prisons on behalf of the UK Government. We pioneered the concept of contracting out prisons to the private sector to bring additional value, expertise and ideas to the state sector Prison Service. Coupled with the responsibility of protecting the public, the prisons operated by us use active offender management programmes to challenge criminal and anti social behaviour with the delivery of rehabilitative education and treatment initiatives, together with general life skills to prepare prisoners for release back to mainstream society at the completion of their sentences. HMP Birmingham is a Victorian local prison built in 1849, located in Winson Green near the centre of Birmingham. It is a category B Prison holding 1450 adult remand and sentenced male prisoners. G4S Care and Justice Services took over the management of HMP Birmingham on 1st October 2011. HMP Birmingham is the first ever public sector prison to be transferred into the private sector estate. The management of the transfer has been professionally handled and is a real credit to all staff involved. 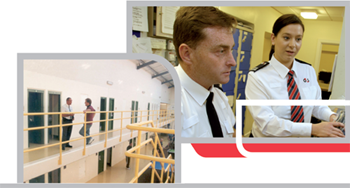 In 2004 the prison underwent a period of considerable change as a result of a multi-million pound investment programme by the Prison Service. Some 450 additional prisoner places have been added together with new workshops, educational facilities, a new healthcare and gymnasium as well as extensions and improvements to existing facilities.